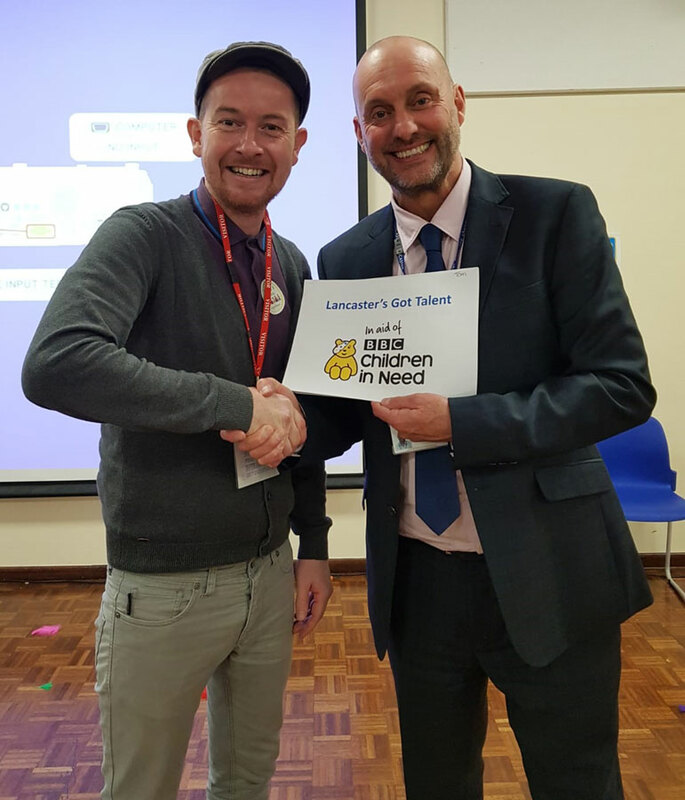 Jay with Tom Owen Jackson the Head of Lancaster School. Jay was invited to be on the panel for a children in need Talent Show. The start of a relationship with the new Head of Lancaster school.